Isaac Newton examined why the universe held together. His deliberations led him to the concept of gravity. 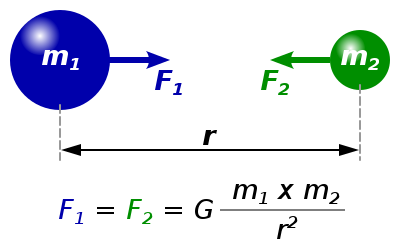 Paul Dirac considered whether a basic particle of nature, such as a negatively charged electron, could have a positively charged opposite. His thinking uncovered the existence of anti-matter. All of these thinkers discovered previously unknown truths. How did they do it? All of these thinkers expressed their previously unknown truths as equations. How can that be? Is mathematics the universal language? In other words ... aside from doing “math problems,” can we use math to understand the world in which we live? How would you describe an equation to a non-mathematician? The Artist and the Professor discuss what an equation “stands for.” Is it some kind of "code or metaphor for the natural world?" Might it be "the natural world reduced to a formula?" Energy, observes the Professor, is "the capacity to do things." Mass is "basically the amount of stuff in a thing." C is the speed of light, or "the speed at which light rays propagate through empty space." Squared is "the thing multiplied by itself." And ... the equal sign means that both sides of the equation are "in balance." The atomic bomb, exploding over Hiroshima, proved Einstein's theory: A small amount of energy (the only thing on the left side of the equal sign) can become an incredibly huge amount of mass. In the sky above Hiroshima, something the size of a pill had hidden inside itself an amount of energy equal to 15 kilotons of TNT. What is interesting about Einstein's famous theory is that he predicted what would happen before he had proof that his equation was true. It was, in a sense, a kind of prophecy. Einstein later observed that the only theories we are willing to accept (even without proof) are "the beautiful ones." What did he mean by that? He was guided, in his work, by mathematical beauty (mathematical simplicity). In other words ... go for the simplest relationships, which are mathematically true, and employ a practical philosophy which puts those relationships to work. Science at the highest level, for Einstein, must be based on elegant simplicity. 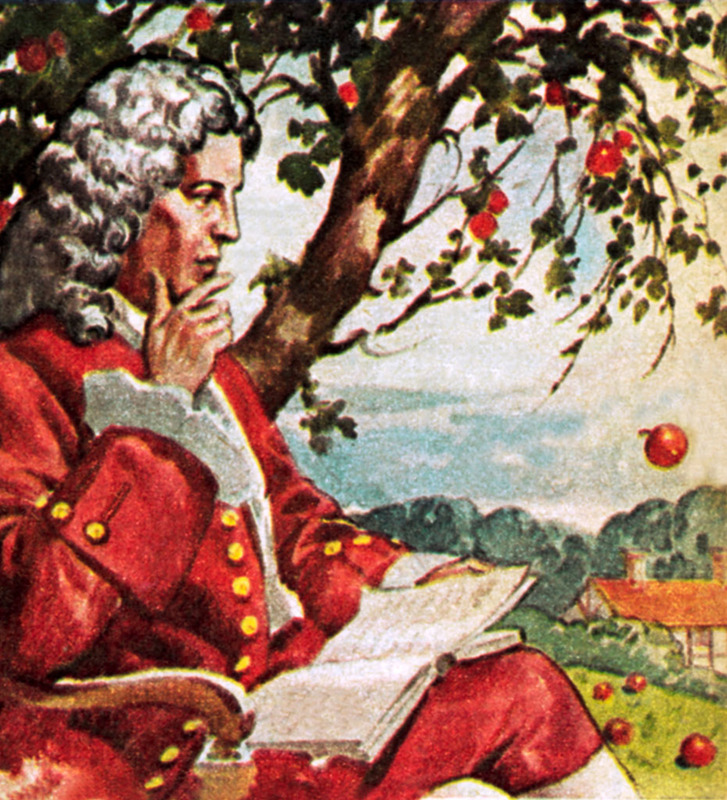 Did Isaac Newton, another famous theoretician, view math and science in the same way as Einstein? He certainly valued equations, like Einstein, but why is Newton called "The Father of Modern Science?" Professor Ruth Gregory, from Durham University, provides insight into Newton's methodology. She also helps us to understand how Newton was able to solve a longstanding riddle: What holds "the worlds" in their places? It all, apparently, started with a falling apple. Why does everything "fall to the Earth," and never in another direction? Newton theorized that whatever causes an apple to fall to Earth must be the same phenomenon which causes the Moon to go around the Earth (or the Earth to go around the Sun). The apple, parenthetically, was likely a “Flower of Kent” growing in the garden of Woolsthorpe Manor (the home of Newton’s Mother). Isaac was there, instead of at Cambridge University, because of the plague (which struck England in 1666). What seems to "fall to Earth" is actually "Being Pulled" to Earth. What is the gravitational force exerted on an object with mass (m2) by an object with mass (m1) located at a distance (r) from it? And ... importantly ... do all objects, throughout the universe, act on each other in the same way? Newton gives us his answer, for universal gravitation, in words (not symbols). In short ... the gravitational force between two objects is proportional to the mass of each, and it is inversely proportional to the distance between them (meaning we’ll have to divide). The force (which the apple feels) depends on the mass of the two objects and the distance between them. The bigger the objects, the bigger the force. The further apart they are, the weaker the force. The two masses could be anything: the Earth and the apple, or the Earth and the Sun. The equation helps us to make sense of how gravity works throughout the universe. Newton's equation was confirmed when it predicted the return of Halley's Comet. His work remained unchallenged for over 200 years. Then ... the 20th Century arrived and some things changed. Our understanding of time, for example, changed drastically. It was Einstein, once again, who got us thinking in a totally different way. Time, he said, runs at different rates depending on how fast you are moving. Time, therefore, is a relative quantity. Does that mean time also has a physical quantity? Indeed, according to Einstein, it does. There is not, in short, "space and time," there is "space-time, a single entity, connected by the speed of light." This theory - Einstein’s Theory of Relativity - changed how scientists viewed reality. It was something which no one before Einstein ever believed possible. Not long after Einstein’s significant discoveries, another scientist - Paul Dirac - intuitively understood that equations (and science) can be beautiful. We check-in with his biographer, Dr. Graham Farmelo - who wrote The Strangest Man - to investigate what Dirac contributed to our understanding of the natural world. While at Cambridge University, after World War I, Dirac was considered the greatest English theoretician since Isaac Newton. He remains widely unknown, however, because he greatly valued anonymity. Dirac was the first theorist to elevate the idea of beauty in science when he introduced this concept: The "Principle of Mathematical Beauty." What did he mean by that? In short ... as we advance in fundamental physics, the theories which get closer and closer to nature become more and more beautiful. If a theory under consideration were ugly, Dirac reasoned, it couldn't describe nature (and would likely end-up rejected). In 1927, he worked-out the Dirac Equation. It remains one of the greatest achievements in modern science. What he was trying to do, as he worked on his project, was to come-up with an equation for the electron (the first fundamental particle to be discovered). Dirac, in his quest, was trying to describe (in mathematical terms) a basic part of nature. His equation applies to every electron that ever existed, or ever will exist. Even the most brilliant people in the world struggled to figure-out what Dirac had to say after he published his equation. Dirac's spinor predicts the existence of anti-matter. With his equation and his ideas, Dirac effectively envisioned half of the universe (the anti-matter part) in his head. Today, scientists are in awe of Dirac’s equation. At the time, however, no one else really understood that every proton, every neutron, every electron had an opposite partner. Not only was such a theory preposterous, scientists believed, it had to be wrong. Dirac seemed to be thinking about make-believe stuff, until ... experiments proved him right. Anti-matter was discovered five years after Dirac had predicted it. Dr. Glen Cowan - Royal Holloway, University of London - shows us anti-matter in real time. Conducting an experiment in which electrons bend in one direction, and positrons (the anti-matter partner of electrons) bend in the other, we see Paul Dirac's theory at work in real life. People who study mathematics agree with Keats. It is almost as though each of those two concepts (truth and beauty) leads to the other. In the 1970s, Hawking was convinced that "black holes," as contemplated by Einstein's Theory of General Relativity, were losing (not gaining) mass and would eventually evaporate. Other scientists were stunned by this idea and wondered what would happen to all the information (particles and other matter) which had been previously pulled-into a black hole. Because of Hawking’s theories, scientists are rethinking how black holes work. 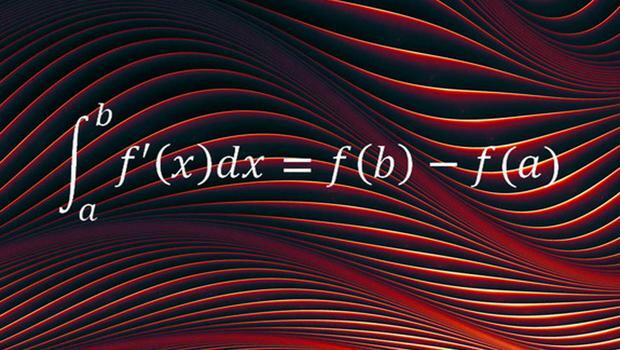 At the end of our investigation into some of the world's most beautiful equations, we learn that once formulated, they take on a life of their own. That’s as it should be, since those nature-predicting equations represent previously hidden aspects of the physical world. After all ... as Einstein said ... "the most incomprehensible thing about nature is that it is comprehensible." We just have to take the time to figure it out. Embedded video, via YouTube, is "Beautiful Equations," copyright BBC, all rights reserved. Provided here as fair use for educational purposes and to acquaint new viewers with the production. Originally broadcast, on BBC Four, 14 December 2010. Bos, Carole "Equations which Changed the World" AwesomeStories.com. Apr 19, 2014. Apr 24, 2019.